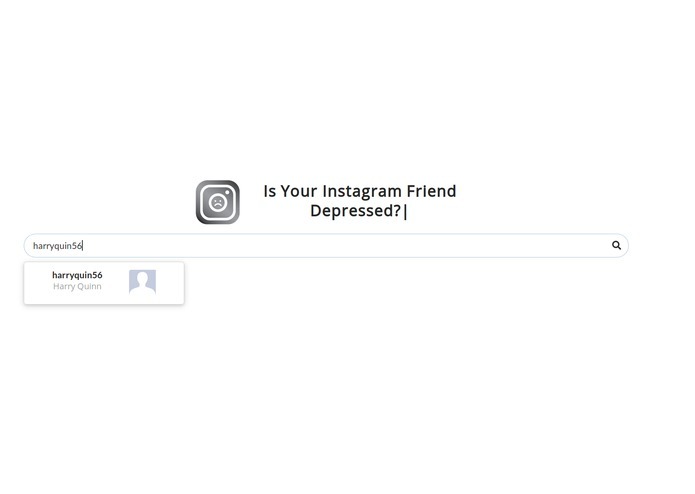 IYIFX helps identify your friends’ mental state purely based on instagram posts. IYIFX helps identify your friends’ mental state purely based on instagram posts, so you can provide support in their time of need. 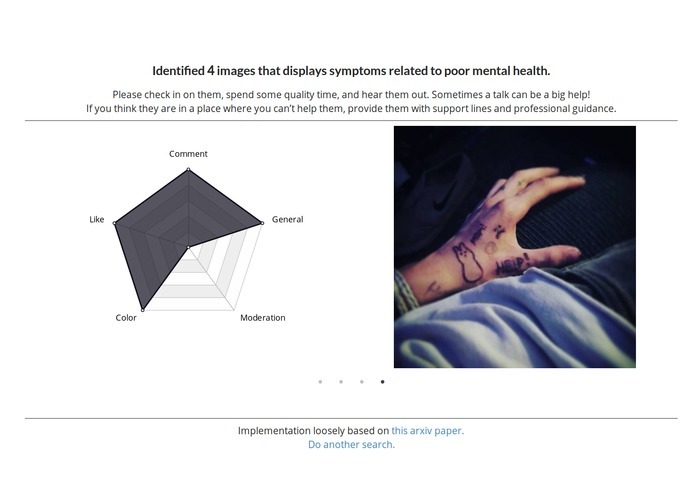 We needed a way to determine if a photo showed mental health symptoms, the clarifai API was used to extract meaningful data from images, the hand picked features (based on a research paper) were then passed down a decision tree.